Located in the heart of Kuala Lumpur along Jalan Tengkat Tong Shin lies Ngau Kee (Ngau in Cantonese means Ox in English) , which has been famous for its beef noodles. 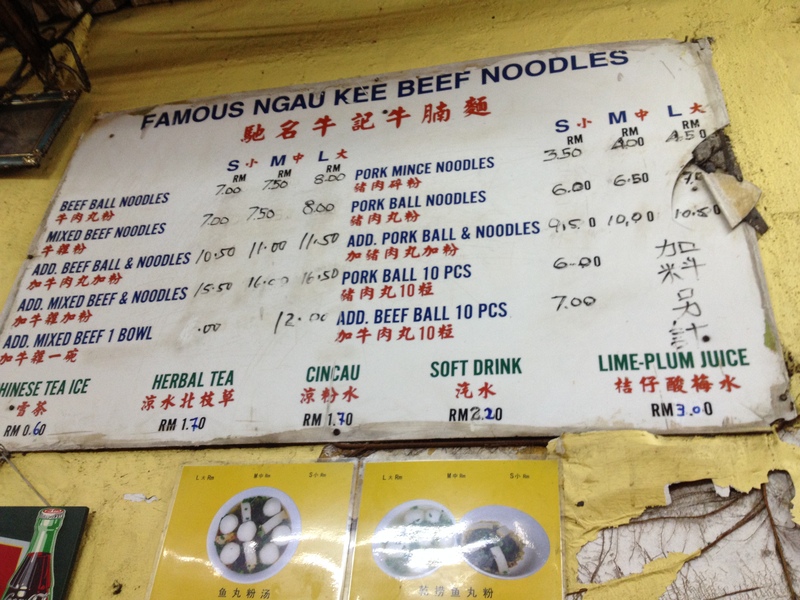 (There will be a signboard indicating famous beef noodles at the top, so you won’t be able to miss it) When I was growing up in Kuala Lumpur, this was one of the places that dad would take a drive down to the city for supper. We had the Dry Beef Noodles and Beef Ball Soup. 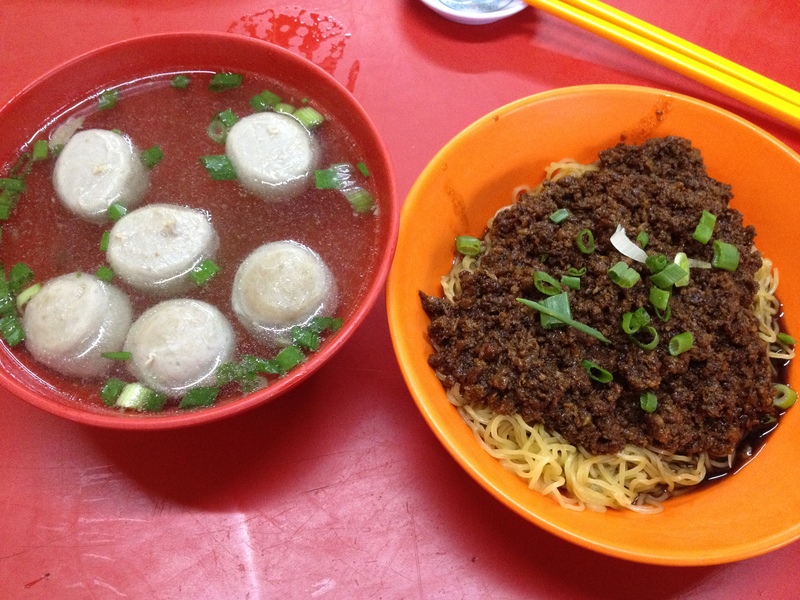 The texture of the noodle is similar to wanton noodles; topped with a thick soy-sauce minced beef which has to be mixed with the noodles. The noodles are springy in texture and are soft. It was absolutely delicious! The chunky beef balls floating in the clear soup was very flavourful too. 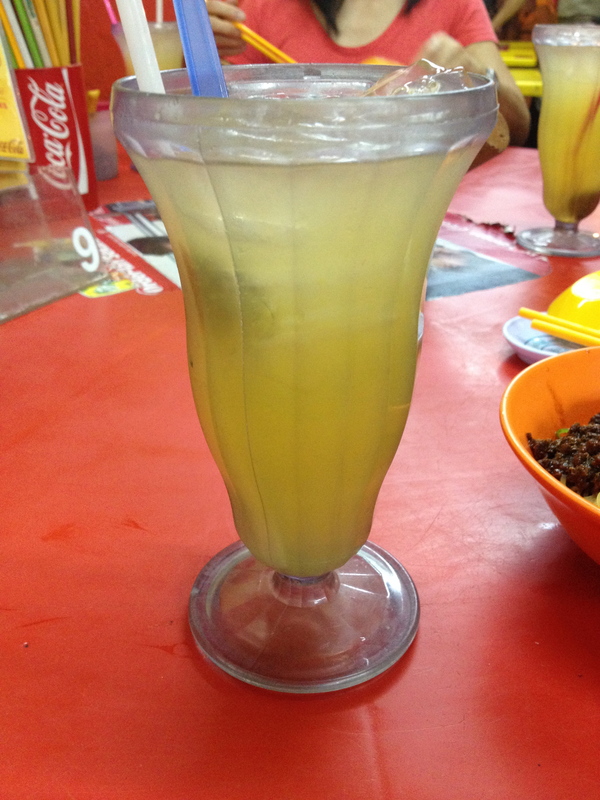 Together with a refreshing lime and plum juice, it was a very satisfying meal indeed. Other than Dry Beef noodles, Ngau Kee also offers Beef Noodles in Soup or you can have Mixed Innards in your noodles too, depending on your preference. Wow! All those Malaysian food you are posting are driving me up the wall haha @@!! Looks superb Mel :)!